Contact Miami Beach Accidental Death Attorney Gerson & Schwartz, P.A. Few things are more difficult than the sudden and unexpected loss of a loved one due to an accident. The sudden or accidental death of a family member or loved one impacts a family impacts a family over a lifetime. Although there is no amount of money that can replace a loved one, a wrongful death claim may provide compensation to families for their losses and consequences. When someone is killed in Miami by the negligence of another, due a criminal act, a defective product, or when the victim dies before trial, few laymen and even some lawyers don't understand how the available remedies may differ. Careful consideration by an experienced wrongful death attorney is essential when deciding to bring a claim. In addition to feelings of grief, shock, and sadness, families may also face unforeseen financial hardships due to lost earnings of the deceased, medical bills and even funeral expenses. If a loved one's death was caused by the negligent, reckless, or intentional act of another, family members can recover for their pain, suffering, and monetary losses by filing a wrongful death claim against the responsible party. Though money can never bring a deceased loved one back into your life, a wrongful death attorney can ensure that you receive compensation for the financial consequences and for your pain and suffering from the devastating loss. Wrongful death cases in Florida are based upon a specific statute adopted by the Florida legislature. Under Florida Statutes 768.21 a lawsuit for a wrongful death claim can only be brought by the personal representative of the estate of the decedent and on behalf of the survivors. This is an individual or an institution named in the decedent's will, or if there is no will, an appointee by a probate judge. In a wrongful death case, the personal representative brings all claims for persons who qualify as "survivors" under Florida's wrongful death statute. Many people are surprised to learn that eligible survivors exclude many people who suffer as a result of the death of another. Florida's Wrongful Death Act contains a shorter two year statute of limitations within which a lawsuit can be filed when compared to other types of personal injury related cases. Though for living plaintiffs the time limit is longer except in medical negligence cases. The types of damages which can be recovered are also spelled out in the statute. The measure of damages is based upon the loss and harm to the survivors, not the losses experienced by the decedent. When you come in for a free consultation, our attorneys will explain how the law applies to your specific situation. The type and amount of damages survivors can recover depends on their relationship to the deceased person. For instance, survivors can get reimbursed for the value of lost support and services prior to the death, and for the estimated value of lost future services and support. In determining the value, the probable future income of the deceased will be calculated, and specific relationships of survivors will be considered. This means that closer family members who would have benefited more from the deceased person will receive more reimbursement. 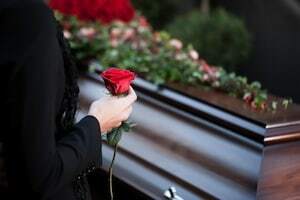 These determinations and calculations may be complicated, and an experienced wrongful death attorney will know how to maximize family members' recovery. Family members can also recover for any emergency or medical bills and funeral expenses that they incurred as a result of the deceased person's injuries and death. Additional damages can cover mental pain and suffering that resulted from the unexpected death, which includes pain and suffering of the surviving family members as well as any potential pain and suffering of the deceased person prior to their death. Furthermore, spouses can recover for loss of companionship, and children who lose a single parent can also recover for loss of parental companionship, guidance, and instruction. These are only some of the possible damages, and though it is difficult for anyone to place a dollar amount on the loss of a spouse, child, or parent, our attorneys are adept at making certain you receive full and complete compensation for the loss of your loved one. If someone caused the death of your loved one, intentionally or unintentionally, they should be held liable for their actions or negligence. Whether or not your loved one was killed by an accident, a defective product, medical malpractice, an act of violence, or another event, the wrongful death attorneys at Gerson & Schwartz, PA will help you fight for justice on behalf of the losses you have have endured. Since 1970, our attorneys and members of our legal staff have represented numerous family members and filed claims and lawsuit against negligent persons and businesses for their actions. 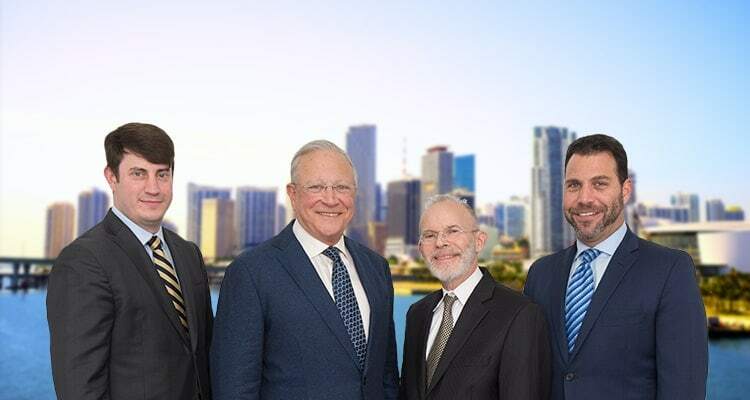 Gerson & Schwartz, PA law offices are located in Miami, Florida close to Miami Beach, Coral Gables, and North Bay Village. Our attorneys are also board certified Florida trial lawyers and have extensive experience representing clients in serious injury and wrongful death claims. We have the competence, skill, and necessary experience to understand Florida's wrongful death laws, to ensure that each our client's receive the maximum possible compensation the law permits. For more information on how we can help, call us at (305) 371-6000 to schedule a free consultation with one of our lawyers today. The Miami, Fl. 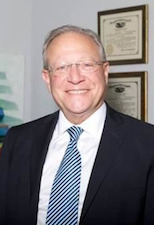 personal injury law offices of Gerson & Schwartz, PA handles wrongful death claims throughout Miami-Dade County, Broward County, Palm Beach County, and Monroe County. We routinely service clients in Fort Lauderdale, Plantation, Weston, Pembroke Pines, Coral Springs, Coral Gables, Miramar, Miami Beach, North Miami Beach, Aventura, Key West, Key Largo, Marathon, Plantation, Fort Meyers, West Palm Beach, Boca Raton and Jupiter, Florida. We also handle wrongful death cases on Florida's West coast such as Naples, Fort Meyers, and even Central, Florida from Orange County and the Tampa Bay Area. Se Habla Español.